Welcome to Passion4FM’s new shortlist of the Best Football Manager 2015 Brazilian Talents featuring the biggest talents of the Brazilian Divisions. Here i put together a shortlist full with players who are the biggest talents in the Brazilian Divisions and are most likely the biggest talents in real life as well. These Brazilian players could be the next big thing being produced and perhaps on a few years we can either see them in Europe or in their national team. These players are the biggest talents in Brazil itself and are mostly featured in their squads on the highest of the Brazilian Football League, as these players are such big talents their price tags can be different from the European talents mainly as u can get them in your squad at the age of 18 and not any time younger due to South American policies. Having scouted over 300+ players this is my biggest shortlist thus far and some of these players are already first team quality. 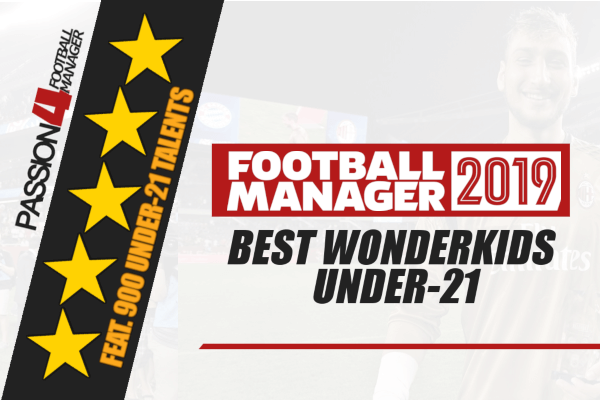 With this shortlist we can help you on your way to get the biggest talents in these divisions by highlighting some of these players for you to help you on their way, in addition with a downloadable shortlist of the best Football Manager 2015 Brazilian Talents. All these players can be found in the Brazilian Divisions and will all be under the age of 21 or be 21 at the start of your save. 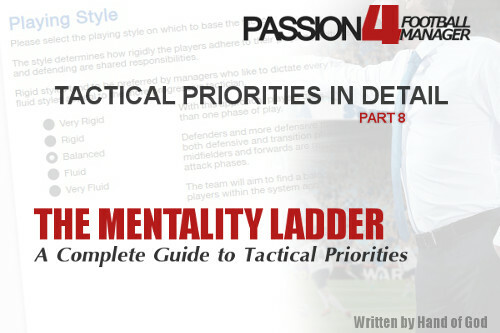 Every player has at least played in the youth teams of their club and some may even sound familiar to you due to older fm’s or even real life. As the rules state in South America that no player under the age of 18 can be bought straight away and some even may be at the young age of 15, it is always recommended to look at players who are either close to the age of 18 or snap up the very young ones and wait a few seasons to beat other big teams to these players. As most of us know there is the big wonderkids shortlist which features alot of Brazilians i thought, why not go more in-depth and look for all the hidden gems in Brazil, so i did. having found over 300 players for this shortlist, this is by far my most complete shortlist by far and I’m glad to help you guys out with all these players who can bolster your team, as with the Dutch Shortlist i decided to manage a Brazilian team on its own and send out my scout to all 3 the divisions finding all the players i found fit for this shortlist. As always u can see down below the benefits of signing these players. To start of, they are young and have the time to developed which will mean you can progress them into any role you want. As they are young their contracts won’t be that big of a deal on your wage bill meaning you can offer them a long term contract for a fairly good price. As they are young players they could always benefit from older players mentoring them, with the help of older players they could always grow into a more professional work attitude. As many may know young talented goalkeepers in Brazil is a rarity, mostly as they all dream of being either the next Ronaldinho or next Kaká, primarily most of the goalkeepers in Brazil are than either failed defenders/midfielders/forwards as i was scouting for this list as well, i could see the goalkeeper ratio to outfield player ratio is very different as there only future about 30 goalkeepers in this list. Bruno – At only 15 years old Bruno is one of the biggest talented goalkeepers in Brazil, having already featured senior squad wise its amazing how such a young goalkeeper can be that talented at his age,currently being already the 2nd goalkeeper in the team he has a bright future behind him and i surely recommended if you are in need of a talented goalkeeper and want to build a future i would put a bid on him, keeping that in mind, its always watching out with the South American rules as the rule of players moving abroad U18 is then being used, if any and you are managing in South America, just go for him. Other Recommendations: Thiago, Marcos Felipe, Alisson. Mayke – Having played for Cruzeiro since 2010 Meyke has made over 30 appearances in the last 4 years hes slowly getting into the starting team, with most of his stats being already over 10 and having a high determination attribute hes looking like one of the better Brazilian wingbacks. Pará -Being only 18 year of age he surely has a bright future, with 99% of all his stats being at least above 12 he is surely one of the best wingbacks i have seen in the game yet for his age, Pará joined his current club Bahia last season and has started to be a first team regular this season, having been monitored by some of the bigger european clubs he surely looks like one for the future. Other Recommendations:Alef, Alex Silva, Alan Cardozo. Marlon – Being only 18 years old Marlon has not quite made an impact on the Fluminense squad, having started his career at Fluminense aswell he is an homegrown player for them, and has a big potential to become a great centreback. Bressan – Having not known much of this player he has started his career in 2008 at Juventude where he has spend his time in the youth teams till 2012 he left the club and was a free agent until 2013 where gremio picked him up. Since joining Gremio he has played regularly for the club and still being young of age, he has a bright future set at the club. Other Recommendations: Dankler, Samir, Luan. Jhon Cley – Having joined Ole Brasil in 2009 at the young age of 15 he didnt spend much time there as he was quickly picked up by Vasco de Gama. Having featured in the youth teams for Vasco de Game he hasnt really made a immediate impact on the team yet but only being 20 year of age he has a bright future ahead of him. Other Recommendations: Matheus Pranke, Serginho, Gustavo Viera. Agustin Allione – Having started his career at the young age of 15 at Velez Sarsfield he has been regularly featured in the tema for the last 2 years, having played in the senior team he deserved a transfer to Palmeiras and has been brought on as a sub most of the time, only being 19 years old Allione has a bright future and is looking to be a great Argentine winger. Jean Mota – Starting his career in 2011 at Portuguesa he is still a player for them and has been regularly featured in the first team as he is still young of age and has high potential on him , with the right training he can become a great player, as most of his stats are perfectly for a attacking player he can cross the ball but can also challenge the keeper. Other Recommendations: Alisson, Leo Jaba, Neilton. Luciano – Luciano is a young striker who currently plays for the first team of Corinthians in Brazil, having started his career in 2011 at Atletico Goianiense he moved to AvaiFC in 2013. Luciano made such a good impression on Corinthians that they decided to buy him while he only played one season for AvaiFC. Stefano Yuri – Stefano Yuri has started his career this season for Santos and has been regularly featured in their B squad , as hes only 19 years old he looks to be a bright star in the future along side some of the other talented strikers in the league. He already has great finishing and first touch stats meaning with the right training he can become a world beater, as hes 19 u dont have to wait for him to join you till hes 18 so i surely recommend him. Other Recommendations: Gabriel Barbosa, Ademilson, Kenedy. 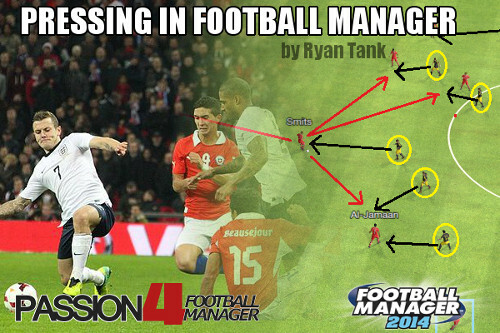 A shortlist of the most promising talents in Brazil of Football Manager 2015. Features over 300 Under-21 Brazilian Talents of the national division of Brazil. Place the file under at the root of your /shortlist folder. Start the game and go to Scouting screen then Shortlist tab. Found any other Brazilian talents to recommend? Share your recommendations with us! 18 y/o Fanatic Football Manager player. From Groningen, The Netherlands. Supporter of Ajax and FC Groningen.